On the 5th December 2016 was the handover from London to Sligo as European Volunteering Capital. 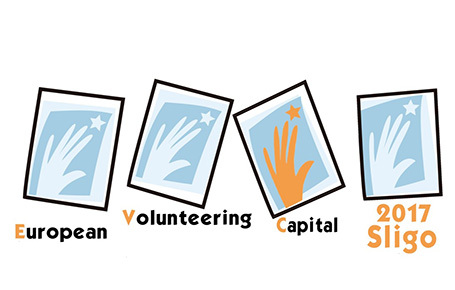 Volunteering is at the heart of Irish community life and Sligo County Council was bestowed with the honour of European Volunteering Capital 2017 recognising the role that volunteering plays in both the urban town of Sligo and in rural life across the County. St Angela’s College, Sligo is proud to be named a strategic partner for the special year ahead. “Volunteering is also an important part of campus life,’ explains Dr Maria Gallo, Development Manager in the Office of the President at the College and Vice-Chair of the Sligo Volunteer Centre, “Staff members volunteer their time for College events while also contributing to work in their own communities. Students also participate in volunteering opportunities on an off campus, with many of them applying for the ALIVE Certificate to recognise this achievement,’ Maria is a member of the Steering Committee for the European Volunteering Capital year, that begins with the opening ceremony on Friday 27th January- the Spirit of Sligo musical spectacular event. The College will be hosting the ALIVE (A Learning Initiative and Volunteering Experience) Ceremony on the 25th April, an official event for the European Volunteering Capital year. It is anticipated the College will also be supporting and hosting other events related to volunteering throughout the year.